Flexible Tempered Glass Screen Protector is designed to perfectly fit your smartphone. 2.5D edge radian means the edge cutting chamfer technique used based on the 0.26MM glass piece, which makes the edges even smoother to touch. The tempered glass is only 0.26mm thick which has excellent light penetration ratio 98%. It has very easy application, leaving no bubbles, and having no glare. Its Oleophobic coating helps reduce visibility of fingerprints and other contaminants, making it easy to quickly clean the screen. Designed to be extremely tough and durable, it is also capable of withstanding scratches from items such as keys, knives and more. Installation is also a breeze. 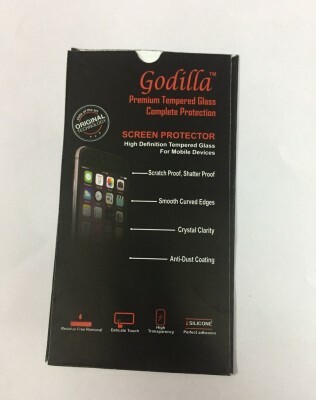 Align the screen protector on top of the device, push down on the tempered glass and allow the adhesive to work its magic. Tempered Glass is designed keeping in mind 100% safety of glass and end user. \"Godilla\" Is A Brand Affiliated Only To ******TheSmartSeller******. No Guarantee Of Authenticity Or Quality Of The Product If Purchased From Other Sellers. 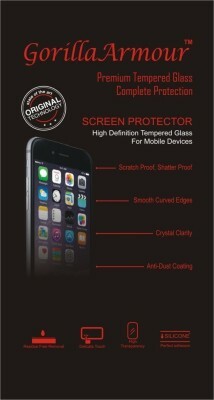 High Quality Screen Guard that protects your Phone Screen from Dust, Scratches and Cuts. 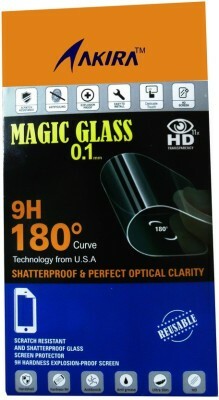 Anti-Glare, Anti-Fingerprint are some of its features.